A newly-discovered trove in central China containing soft-bodied fossils that date back 518 million years sheds new light on the diversity of early animal life during the Cambrian period, according to Chinese and foreign researchers. The site of the Burgess Shale-type fossil deposit, the Qingjiang biota, is on a bank of the Danshui River, near its junction with the Qingjiang River in Changyang Tujia Autonomous County, Hubei Province. 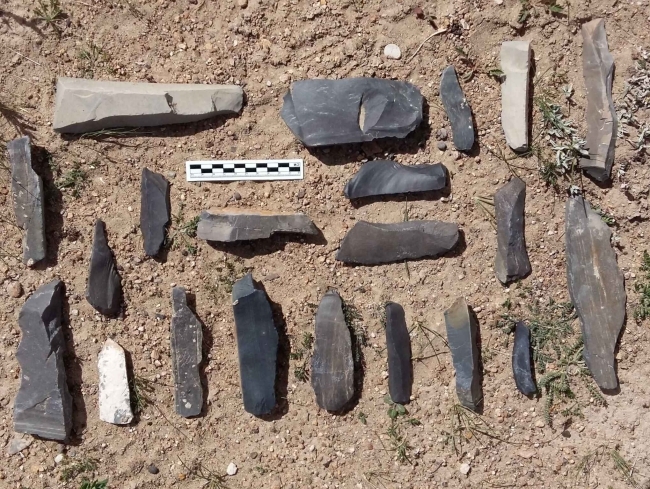 Among the 4,351 specimens so far analyzed from the type locality, 109 categories have been recognized and 53 percent of them are new, said Fu Dongjing, associate professor at Northwest University in Xi'an, capital of Shaanxi Province, and the first author of the study published in March in the U.S. journal Science. The diversity of species in the Qingjiang biota may surpass that of all other Burgess Shale-type biotas, such as the Burgess Shale in Canada, discovered in 1909 and the Chengjiang biota in southwest China's Yunnan Province, discovered in 1984, she added. The Qingjiang biota was first discovered in the summer of 2007 when a Northwest University team led by professor Zhang Xingliang was doing field research in Changyang. On a riverside, using a geological hammer Zhang knocked off a stone containing a Leanchoilia arthropod fossil, which is typical of the Burgess Shale-type fossils. Shortly after, the team found a Naraoia fossil at the same site. 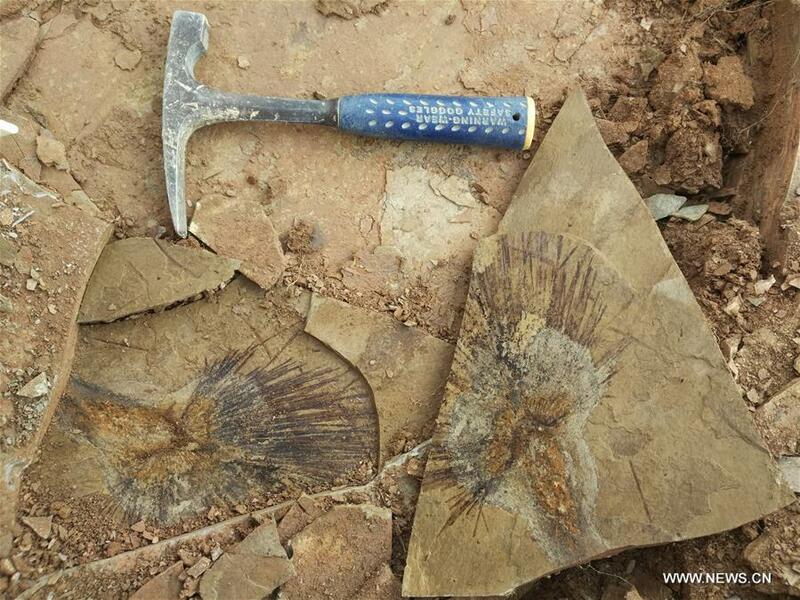 It was also the discovery of a Naraoia fossil by Chinese paleontologist Hou Xianguang at the Chengjiang area in 1984 that led to the discovery of the Chengjiang biota, some 1,050 km away from the site of the Qingjiang biota. Since then, the Early Life and Environment research team at Northwest University visited the Qingjiang area twice or three times each year when the river water levels are low. In 2014, the team confirmed the huge potential of the fossil deposit, a sedimentary deposit that exhibits extraordinary fossils with exceptional preservation. "As half of the species of the fossils are new, we have spent a lot of time reading literature," said Fu. She hopes the Chengjiang and Qingjiang biotas will be world-famous biotas. The Earth has 4.6 billion years of history. It was a chaotic mass with no life at all until around 4 billion years ago, when single-celled creatures like living prokaryotes appeared in the sea. It was not until the Ediacaran-Cambrian transition, about 541 million years ago, that a burst of diversification happened to the living things on Earth, which paleontologists call the "Cambrian explosion." However, a better understanding of the animal explosion still needs much scientific research. "Biostratigraphic studies show that the Qingjiang and Chengjiang biotas, located in different paleogeographic regions, are contemporaneous in age. Both dated back about 518 million years to the peak of the eruptive appearances of animal phyla. 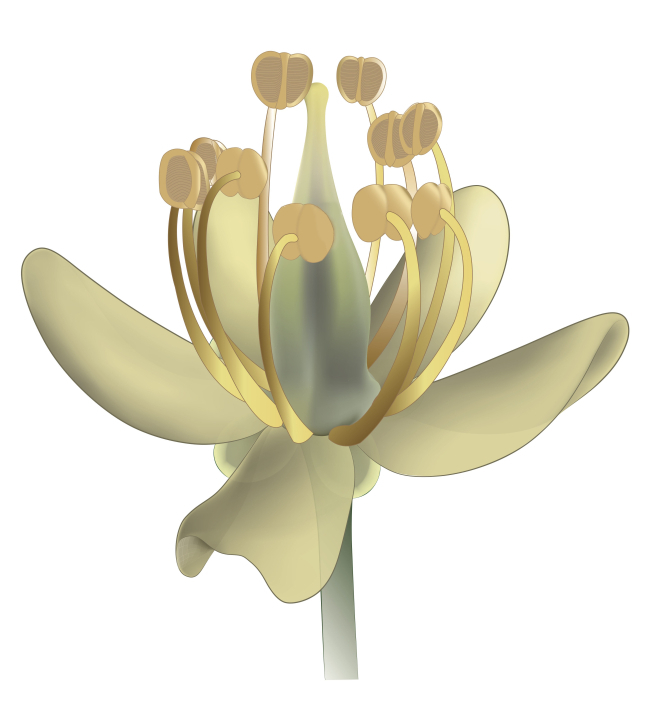 The scientific value of the two biotas is highly complementary," said Zhang. "Further large-scale excavation of the Qingjiang biota will provide first-hand materials for the discovery and exploration of new body plans and new animal categories," Zhang said. "Future studies of the Qingjiang biota will help us understand phylogeny of animals and find more evidence of life evolution," said Shu Degan, academician of the Chinese Academy of Sciences who leads the early life research team. Unlike other Cambrian fossil deposits, the Qingjiang biota appears to contain a high proportion of jellyfish and comb jellies, which are extremely rare at other sites, according to the study. The Qingjiang fossils represent near-pristine examples of Burgess Shale-type preservation that have not experienced alteration through metamorphosis as in the Burgess Shale or deep oxidative weathering as seen in Chengjiang fossils, according to the study. Soft-bodied fossils are preserved as prominent, dark-colored, organic carbon comprehensions on fresh, gray claystone, making the biota valuable for geochemical and taphonomic study. "The past 10 years have seen a big jump in the discovery of new Burgess Shale-type fossil localities, based on detailed mapping and highly focused collection efforts, including several near the original Burgess Shale locality," commented Allison Daley, a paleontologist at the University of Lausanne in Switzerland who was not involved in the study, in her article published along with the Qingjiang biota paper. The Qingjiang biota from China "stands out among these for the extreme abundance of the fossil material and the exceptionally high fidelity of anatomical preservation, " Daley said.